I provide capacity-building coaching for individuals and organizations striving to build equitable skills, processes, and practices. Are you looking to build your personal capacity to communicate cross culturally or navigate conflict? Is your organization building it's capacity for equitable Human Resources practices, hiring, and performance management? Utilizing tools, activities and dialogue, we will co-create an environment to connect you, or your full organization, to full human potential. ​We can only unlock our full potential through healing historical wounds and building collaborative relationships. * Coaching for individuals wanting support in releasing negative socialization, and successfully self-actualize abundance in their lives. * Coaching for women of color to create radical self-love practices, to heal from internalized oppression and deepen relationships with other women of color to revitalize a sisterhood of care. * Coaching and support for organizational leadership, including Boards, Executive teams, and Advisory Committees. * Racial Equity & Capacity Building Training; we all have a role to play in creating thriving communities, our training co-creates opportunities to apply knowledge and strategies for equity. * Conflict Resolution, Team Building and Cross-cultural Communication coaching for those looking to move past the barriers that limit our successful growth. ​Here at Fostering Real Opportunities, our focus is racial equity due to the deep impact of racialization in the United States. By focusing on racism, we can help guide any deeply committed person or organization toward eliminating all forms of oppression and building a culture where all can reach their fullest potential. 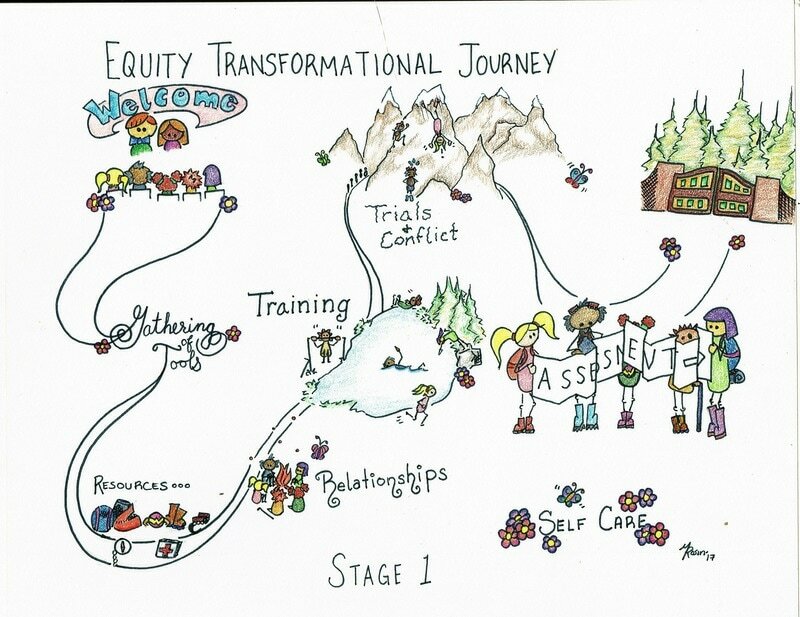 We provide holistic, strategic coaching and facilitation to guide through processes and growth that fosters transformative change. for more information, please visit our Facebook.